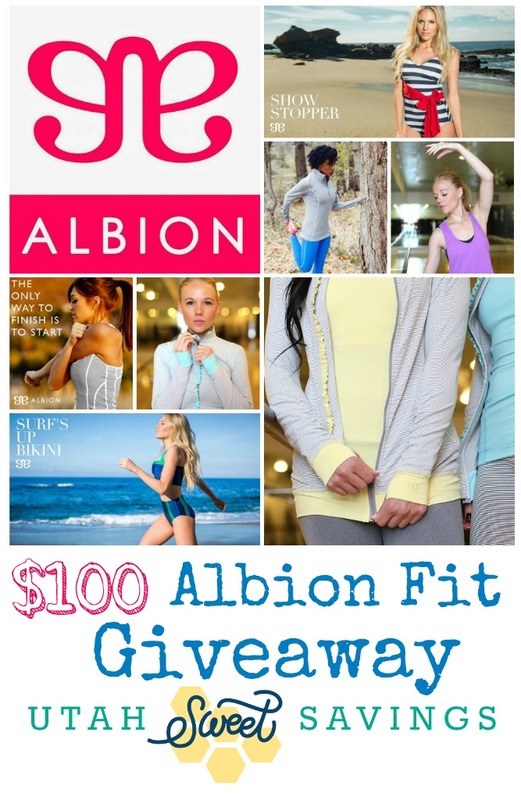 Fun Workout Ideas From My Friends + $100 Albion Fit Giveaway! Today as part of my Healthy Weight Loss posts, I wanted to share something fun and new with you. As you all know, I have recently switched from just weight loss to healthy living. This has included joining The GYM At Station Park and working out with my Personal Trainer Phil. While, I love working out with Phil, I only work with him two days a week. That leaves four other days a week to get to The GYM on my own. If I’m perfectly honest, I don’t always make it. It has been tough lately. Life (and everything that comes with it) just seems to get in the way. So, I decided to get some friends together and see if they could help give me some inspiration on working out on days without my trainer. From that idea this video was born. I grabbed a bunch of my blogging buddies to share a tip or two on what they like to do when they work out. Enjoy! Wasn’t that fun?! Thanks to my friends for coming and playing with me. You should check out their blogs. They are Awesome! We have a super fun giveaway to share with you as well today. Albion Fit caries super cute workout clothes and swimsuits. We all LOVE their clothes. In fact, we were all wearing them in this fun video. Albion is giving away a $100 Gift Certificate to one of our readers. Just head on over to their site and come back and comment below with what you would grab with your $100. Then make sure to make it all official on the rafflecopter below. There are a bunch of ways to get extra entries so make sure to do as many as you can! Good luck! ABCmouse Early Learning Academy: 2 Months for $5 + 9 ABCmouse Apps for FREE! Easter Egg Hunts in Utah! Get Free Flights on Southwest! 40,000 Bonus Point Offer! 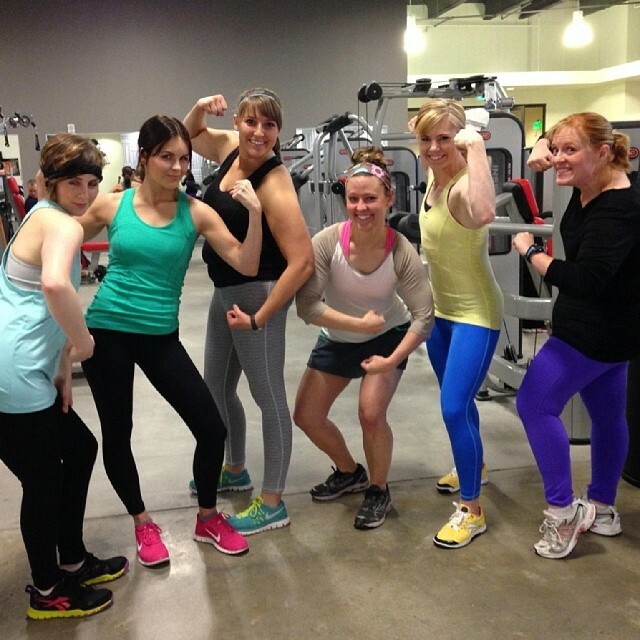 I love the clothes at Albion Fit so cute it makes you want to work out in them. Thanks for the tips ladies! Love these clothes! I would definitely buy tops and bottoms! Cute workout clothes are a great motivator for me! I love the summit leggings! Love the video. You girls are all so cute! And I am in love with everything at Albion!! I love the wine colored flatter me hoodie! The Flatter Me Navy Zip Hoodie! Albion has so many cute clothes! I would love to buy the Blousy Suit Top and Bottom in mint! I have always loved their leggings and would love to get some. But also just having a baby is really making me want to purchase one of their blousy suit tops. The adorable skorts, The pulse, the pleated and the surprise. Love them! I’m a strictly yoga kind of girl (hate cardio!) so I’d probably either get some new yoga duds or a swimsuit. The Gown suit in charcoal is pretty darn cute. I absolutely love the FLATTER ME, WINE HOODIE! I would get the Signature Hoodie in Crimson and a Go Long Crew shirt! I love the full zip. But the petal bra is adorable too! I love the Charade Swimsuit. I could use pants, tops, and bras, all to help me get in shape. I like the petal suit. I could use some workout clothes. Love the Tuxedo Capri leggings! The Sweet Stripe Full Zip, Seafoam / Grey is my favorite!! Wow I think I would need more than 100 to buy all I want but I’m in need of some new workout bottoms. I live their petal pant and capris too! The Love Racer tanks in several colors! I love the petal pant! So cute!